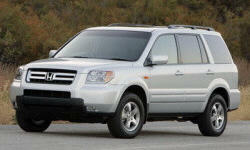 Honda Pilot Past Personal Experience Pros and Cons | Page 1 of 1 | Why Not This Car? Had driven one 2 years prior, and more features were available by 2010. Just traded a 2003 Pilot with very few problems. Owned a Honda Accord. Was a great car!